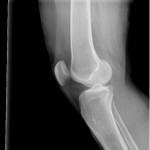 During the previous year, I had already read all about the standard surgical procedures regarding what could be done for this joint instability. A screw fixation that would need to be surgically removed, fibular head resection, different types of ligament reconstructions, and arthrodesis (fusion) of the joint. None of these more common surgical procedures appealed to me. From my prior blog , I am continuing here with my chronological story. While I was enjoying the new freedom of no more Sacroiliac Joint Dysfunction, my lower left leg was not happy at all. While in Florida, I saw Dr. Jacobs -Jacobs Chiropractic for several appointments. Because my lower left leg continued with strong pain sensations, he confirmed the tibiofibular joint subluxation and adjusted both my left knee and left talus bone of my ankle on 1/28 and 2/4/13.Yet I was so happy not to need his services for my SI Joint. This lower leg pain was robbing me of the joy I was trying to have in a successful SI Fixation Surgery. 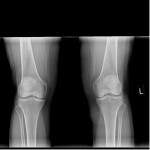 Once I returned back to Idaho to finish my post-operative rehabilitation from my Sacroiliac Joint Surgery, I then proceeded to continue seeking help for diagnosing my Proximal Tibiofibular Joint Instability-lateral knee pain as follows with my journey ending with Dr. Main’s diagnosis and pre-surgical evaluation. March 27, 2013 – A second opinion consult with Dr. Ronald Alm, DPM, Lewiston, ID regarding my ankle pain and/or lateral knee pain causing my ankle pain. He also made a minor adjustment to my current orthotics. His impression was unstable superior tib-fib complex left and sinus tarsi syndrome left, diagnosis codes 729.5-pain in limb and 718.80 instability of joint. Again, I had already read everything I could find regarding conservative management of my proximal tibiofibular joint. As mentioned above, I chose to go non-weight bearing (NWB) and splint my own leg with the help of my chiropractor just to see if I could get some pain relief. I did have complete pain relief while NWB. This tib-fib joint problem felt so much like the SI Joint problem in that both parts of the body would feel better after rest and get worse through out the day after walking which is typical of a joint instability. By this time if a surgical intervention helped my SI Joint so much, then why not do the same for the proximal tib-fib joint? No one was going to convince me otherwise especially in light of the fact that my chiropractor told the medical doctor that continually adjusting a chronically hyper-mobile joint was not the best course of action. An adjustment would simply not hold due to the liagmentous laxity surrounding the tib-fib joint. I was well convinced that a surgical intervention was necessary to provide stabilization and relief from chronic pain in my leg that I had experienced in some form for 10 years by now. April 12, 2013 – I had a second left knee MRI that was normal again in all categories per radiologist report. April 12, 2013 – Family Medicine-Dr. Susan Ashley said: “I have hypermobility syndrome of the tibiofibular joint and that it was reasonable to assume that I would improve with a tibiofibular fixation. ” I had shared with Dr. Ashley my research and she was highly receptive and supportive of Dr. Main’s published surgical procedure. April 15, 2013 – Phone consult with Dr. D. Christopher Main, DO in Macon, MO regarding his published case study on surgical procedure: Proximal Tibiofibular Fixatoin Using a Dynamic Syndesmosis Fixation Device. I asked Dr. Main many questions, and when it was all said and done, he did consider my symptoms as classic to instability of the joint. 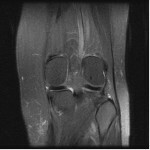 For Dr. Main, my 2 negative knee MRI’s were actually a positive sign in that all other possible knee pathology is ruled out. He accepted the chronic tib-fib instability as documented by several chiropractors along with my own subjective history and leg pain symptoms as enough to warrant surgical intervention; therefore, he did offer his surgical services in my case should I want to come to his office in Missouri. For the first time I felt some hope to bring lasting relief to my situation. I proceeded to continue in documenting my case with my local providers in preparation for surgical consideration. April 18, 2013 – Dr. Khalid Shirzad, my foot/ankle orthopedic specialist at Northwest Orthopedics had been keeping a general orthopedic tab on me throughout this past year on my ongoing lateral ankle pain and indirectly on behalf of my knee specialist, Dr. Kersten, for my tib-fib joint. He also was monitoring my ankle/foot post-operatively from my 2 out of state Peripheral Nerve Surgeries. I had a successful surgery with Dr. Shirzad in Aug. 2011 for the Anterior/Lateral Ankle Impingement Syndrome (future blog to be written) and I want to keep Dr. Shirzad up to date on anything that directly or indirectly affects my ankle/foot. I believe in a team approach to successful outcomes and I work hard at providing copies of chart notes back and forth amongst my medical team. I always seek several opinions on an issue and then make my choices. Since I had mentioned wanting to get an appointment with a Dr. Lyman (a knee specialist in Coeur D’Alene, ID), Dr. Shirzad had concurred that I should do that. Dr. Lyman had come highly recommended by my medical massage practitioner and my physical therapist regarding his skill with knee surgeries. However, it is always my intent to do business with Northwest Orthopedic Specialists (NWOS) first and foremost. I love their surgical center and all the kind and compassionate staff and good service that I have received in the past and what I call good cost control in the financial end of things. I continue to refer all my friends to my doctors at NWOS. In my mind, I believed that the door was closed from the year prior when I had approached Dr. Kersten see prior blog and I just assumed (whether I was right or wrong) that Dr. Kersten or the other knee surgeons of their group would not want to review my case again or offer any surgical intervention for my joint instability. That is why I reluctantly went outside of the NWOS group to seek help. However, I will always be thankful to Dr. Shirzad for at least examining my proximal tib-fib joint and his supportive chart note acknowledging the pain upon palpation. I proceeded to leave Dr. Lyman’s office with many tears and anguish at another surgical rejection for my condition. Every doctor is more than entitled to their opinion and I respect that. However, as a patient, I want equal respect to my own well researched opinion of the condition I live with in addition to all the efforts I had made in exhausting standard pre-surgical conservative treatment without any doctor implying that it is in my head when its in my leg. Through prayer to my Great Physician, my tears turned to immediate pro-action. While sitting in Dr. Lyman’s parking lot, I got on the phone and I contacted Dr. Main’s orthopedic assistant – Loree again in Missouri and the doors were still open. I knew that the post-op protocol would require 6-weeks of NWB so I did not want another moment wasted of my time in delaying a surgical intervention as summer was approaching. All the chart notes that I intended to give Dr. Lyman along with the following report from my physical therapist that had worked with me over the past 2 full years, (see Mark Bengston, MPT-Report ) was immediately faxed off to Dr. Main’s office. I went out of my way the next day to record and provide the following video’s to Dr. Main’s office for his viewing in support of my case. I gave their office every reason to discount my story in light of the fact that another surgeon had just told me his opinion against surgery. However, I felt that Dr. Main believed in me and yet I certainly could respect that 100% surgical guarantee could not be made till he saw me in person and examined me. I expressed to his assistant how I could not afford both financially and emotionally to fly to Missouri, and then be turned down again for surgical help. By the afternoon of Friday 4/26, I received word back thru Dr. Main’s assistant, Loree, that Dr. Main took my case serious and that he would at bare minimum put an arthroscope in my knee to see what may not always be seen on an MRI or just proceed with the intended Proximal Tib-Fib fixation after he exams me in a pre-op appointment. I was reassured as much as possible and it took a step of faith to believe and fight against rejection in my mind that my 3rd surgical attempt would be a success. At the end of this day, I had a pre-op appointment set for Monday, 5/13 and a surgical time for Tuesday, 5/14, followup appointment for 5/20 and I could then proceed to buy airline tickets. From April 26th-May 10th – I was extremely busy preparing for another out of state surgery. I proceeded in faith to have all my post-surgical needs for a non-weight bearing status planned for including: Community Medical, Moberly, MO for wheelchair there and Owl Home Medical-Lewiston, ID for wheelchair here at home. Ladies from the church to help me with meals and carrying things in and out of my car as I travel a lot between two home locations. May 11th, 2013 – Beautiful flights, no glitches, an over night in St. Louis then a 2 1/2 hour drive to Macon, Missouri to get to Dr. Main’s office. I was blessed to have my friend Kelly traveling with me again like she did before with me in the Peripheral Nerve Surgery blog. 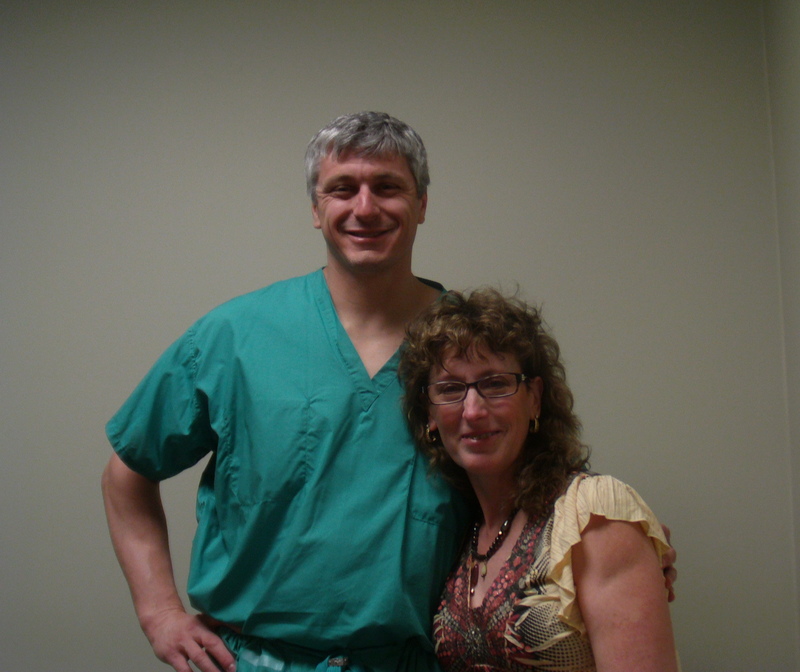 May 13, 2013 – Pre-surgical office appointment with Dr. D. Christopher Main, DO at Midwest Bone and Joint Center, P.C. in Macon, Missouri. I was very pleased with the comprehensive and thorough exam, x-rays taken in his office of my left ankle and my left knee x-rays and MRI that I brought with me were reviewed. 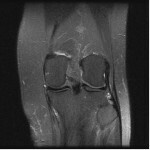 My computer tech (who also has a certification in x-ray/mri technology) helped me to upload these two MRI images. He said he could also see what Dr. Main was talking about in that the white markings showing up on a T2 image is fluid accumulation above/around the head of the fibula. My only other diagnostic tool was a repeated Thermography scan on 5-7-13 that reiterated that my hyperthermia at the left popliteal fossa remained and was unchanged from previous scan on 12-6-11 and findings were consistent with underlying joint dysfunction.